All of my baby blankets are crocheted using the same petal soft and marshmallow lightweight yarn that I use for my Mini Blankies. 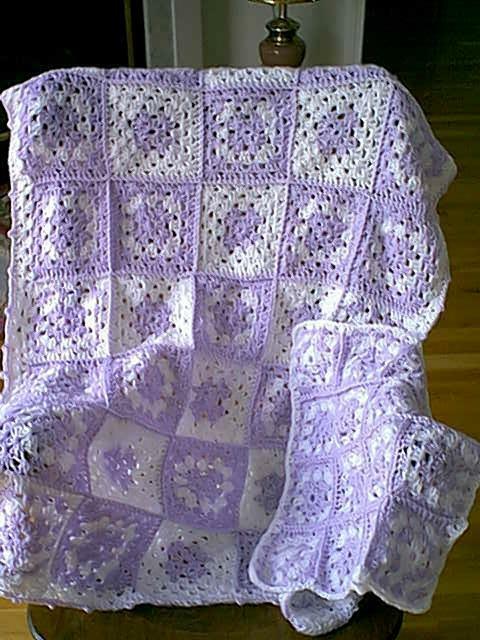 My Baby Blankets and Crochet Baby Afghans are hand crocheted by me in a pet free, and smoke free home. 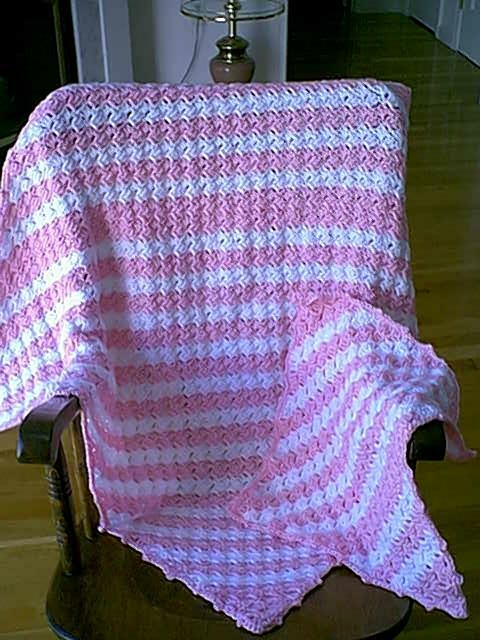 I have crocheted hundreds of Baby Blankets and Crochet Baby Afghans for my friends, family, and the new friends I have met via my website. 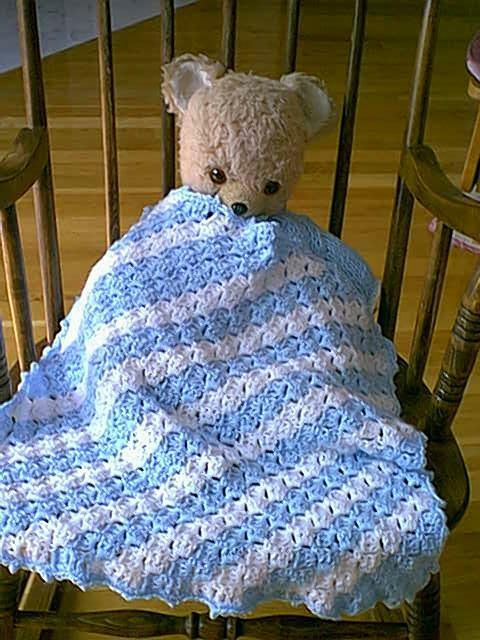 Both the Baby Blankets and Crocheted Baby Afghans are machine washable. (I send washing instructions with all of my Baby Blankets). Visa, Mastercard, Paypal, and Money Order are accepted. Delivery time is 1 to 3 weeks, depending on the number of orders I have in my queue. Email me if you need your Baby Blankets or Crocheted Baby Afghans by a certain date, and I will work with you. 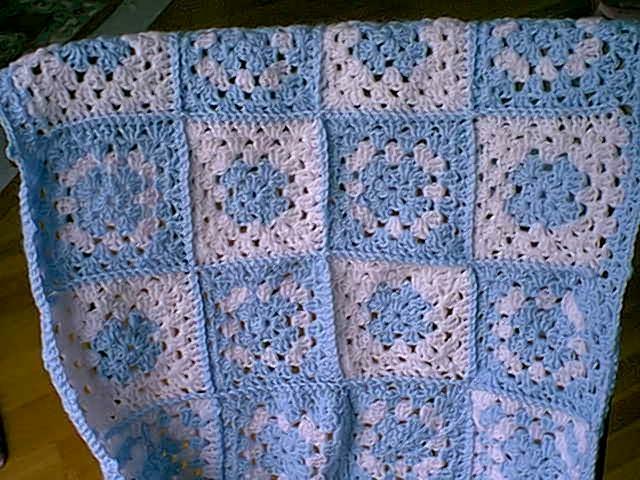 Please let me know if Baby Blankets are a gift, and I will include a hand written note card, at no extra charge. All Baby Blankets are sent via Priority Mail. The Shipping Costs are listed below. Click on any picture to see an enlarged view of that Baby Blanket. All Baby Blankets are available in your choice of any 2 colors from the drop down lists. If you'd like a blanket with more than 2 colors, order a custom baby blanket, using as many as four different colors. Email Frida if you'd like to purchase a gift certificate. Gift certificates are available in any amount. Crocheted Squares Crib Baby Blankets have a pattern I've been crocheting for over 30 years. Baby Blankets are approximately 30 x 40 inches. 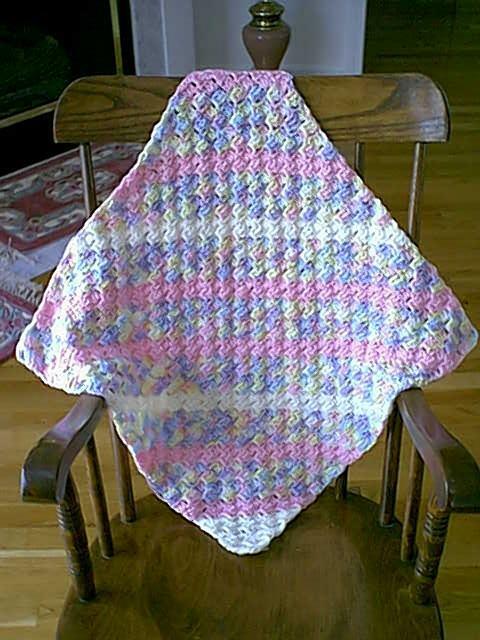 Crocheted Squares Car Seat Baby Blankets are the perfect Baby Blanket for your car. 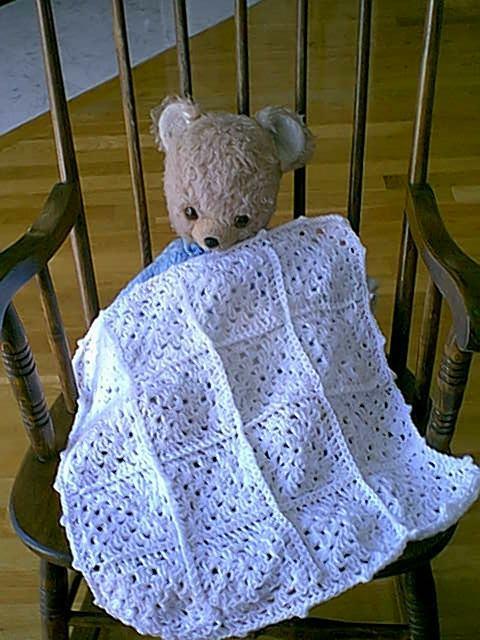 The crocheted squares which make up this Baby Blanket are smaller than the crocheted squares in the Crocheted Crib Baby Blanket, making this Baby Blanket a perfect smaller version of the Crocheted Crib Baby Blanket. Baby Blankets are approximately 25 x 25 inches. Matching Set! 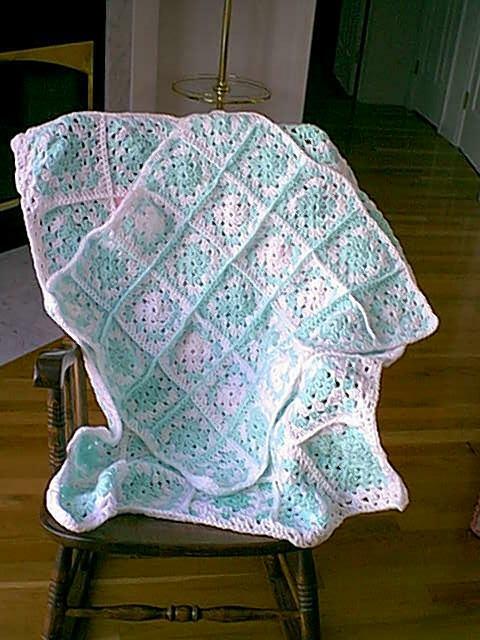 Buy both the Crocheted Squares Crib Baby Blanket and the Car Seat Baby Blanket, and save money (available also in Diagonal Crib Crib Baby Blanket and Diagonal Car Seat Baby Blanket). Crib Baby Blankets are approximately 30 x 40 inches. Car Seat Baby Blankets are approximately 25 x 25 inches. 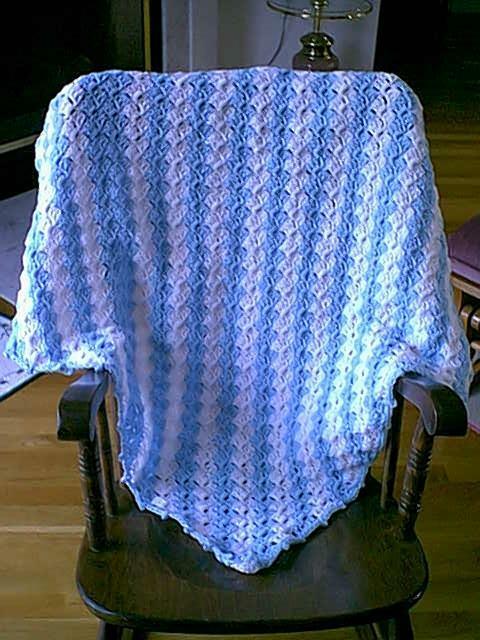 Diagonal Crocheted Crib Baby Blankets are quickly becoming my customers' favorite choice, and are most often ordered in blue and white. Baby Blankets are approximately 38 x 38 inches. 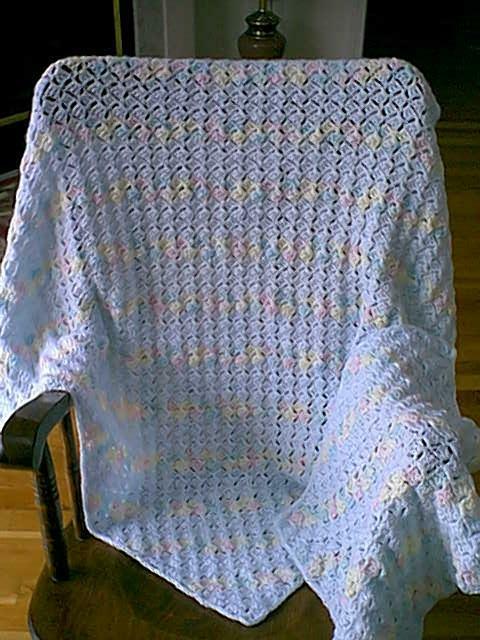 Diagonal Crocheted Crib Baby Blankets With Ombre. Also available in Crocheted Squares. The Ombre yarn ads a touch of multi color charm to your baby blanket. Choose 1 color choice, and I will select the Ombre yarn that best suits your choice. Baby Blankets are approximately 38 x 38 inches. The perfect Baby Shower Gift! Order a Diagonal Crib Baby Blanket and a matching Mini Blankie, and save! These Baby Blankets are a perfect gift for both mother and baby. The perfect Baby Shower Gift! 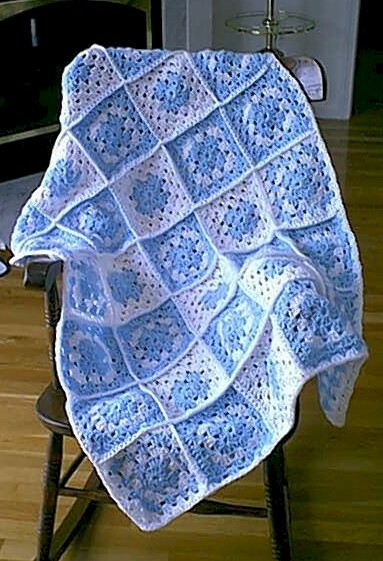 This Crocheted Squares pattern is a nostalgic favorite. 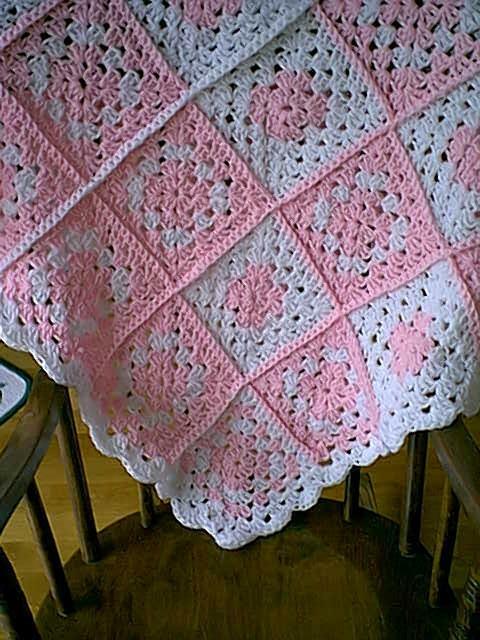 Order a Crocheted Squares Crib Baby Blanket and save!. Send email to Frida with questions or comments about my Baby Blankets and Crocheted Baby Afghans. All the products I sell on this web site are hand crocheted in the USA by me. Because each blanket and/or doily is made to order, all sales are final.